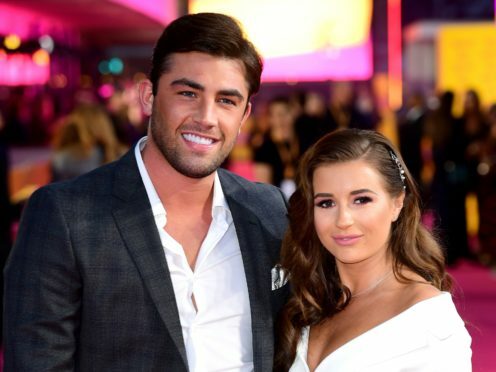 The 22-year-old Love Island star sought romance in the public eye, but does not believe she has to exploit her relationship for a career. Dyer has said she grapples with accusations that her fame is due to her father, EastEnders actor Danny, or from manipulating media coverage of her bond with Fincham. But Dyer has said she and her boyfriend are not a brand but a normal couple. Speaking to Cosmopolitan magazine, she said: “I’ve had messages calling me fake, or saying I only got to where I am because of my dad, or articles saying (Jack and I are) going to split up. It hurts because it’s not true. “I’m 22 and this isn’t a normal situation that I’m dealing with. I don’t know what money they think we’ve got together but we’re not David and Victoria. We’re not a brand. Dyer is keen to develop her career, but is excited to settle down and begin a family. She said: “In five years’ time, I want to be married or at least engaged, but I want a solid career before I have a baby. Dyer remembers growing up with the media pressure of a famous parent, and feels her situation could become the same. But the reality TV star is not prepared to give up on her relationship due to the media glare. She said: “Mum and Dad taught me never to give up when it comes to your relationship. No relationship is easy and they’ve been through it all. I remember when I was growing up and started realising what the press is. The full article is available in the April issue of Cosmopolitan, on sale Thursday February 28.